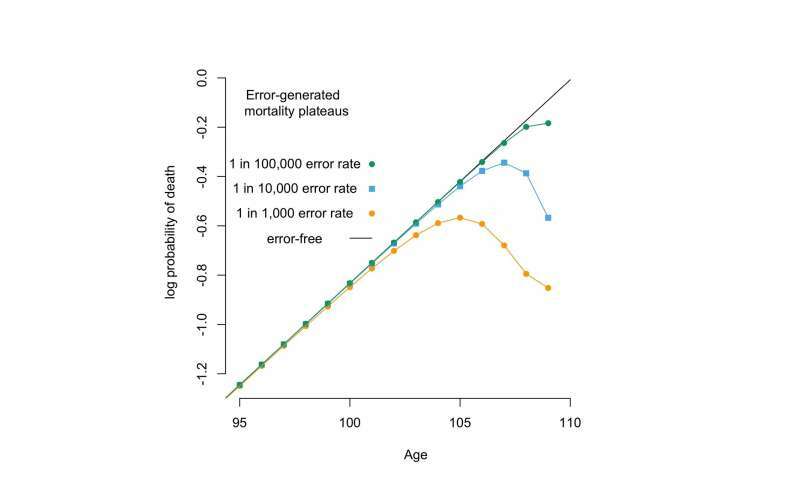 In a separate short paper, Newman asked whether such errors might even explain away the late-life mortality plateau reported in a recent high-profile paper published in Science magazine earlier this year by Elisabetta Barbi, Kenneth Wachter and colleagues—that paper used a high-quality dataset of nearly 4,000 death records from Italy to show that death rates decelerate after the age of 80 and plateau after 105. Newman calculates that this apparent effect could still be down to plausible error rates in record-keeping. In a response to this, Wachter defends the quality of their dataset, and describes Newman's proposed error rate as "wildly implausibly high."